How do we cure our cravings? According to bestselling author, nutrition and overeating expert Julia Ross, we need to “identify and activate your natural appetite control”, and Julia can teach us how to do it! 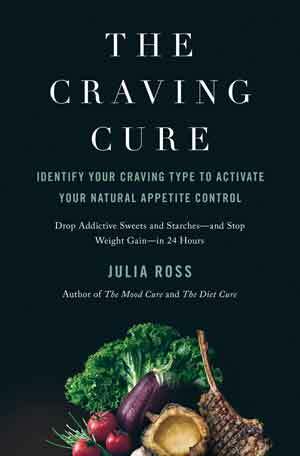 Join us as we welcome Julia Ross for her presentation The Craving Cure: Identify and Activate Your Natural Appetite Control. • How to use amino acid therapy to neutralize the cravings instigated by brain-targeted commercial foods. Julia Ross is a pioneer in the use of nutritional therapy for the treatment of eating disorders, addictions and mood problems. The director of several integrative treatment clinics in the San Francisco Bay area since 1980, Ross also trains and certifies health professionals and lectures widely. She is the author of the best-selling books, The Mood Cure and The Diet Cure, and the new release, The Craving Cure. Her work has been featured in publications from Vogue to the Journal of the American Psychological Association as well as online and on radio and television. For a copy of the PDF presentation used in this webinar, click here.